In this study, we have successfully synthesized self-assembled LaFeO3 (LFO) microsphere photocatalysts by hydrothermal method at two different temperatures in order to study the surface-morphology modification and photocatalytic activity. The self-assembled LFO microspheres have been characterized by X-ray diffraction, Fourier transform infrared spectroscopy, atomic force microscopy, thermogravimetric analysis, high-resolution transmission electron microscopy, UV–Vis spectroscopy, field emission scanning electron microscopy, Brunauer–Emmett–Teller analysis and photoluminescence spectroscopy. 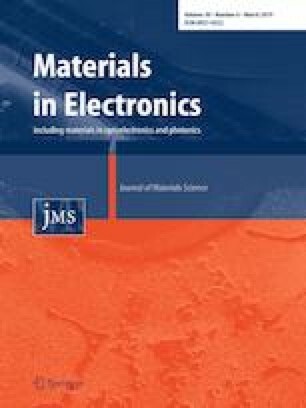 The results show that the surface-morphology modification of self-assembled microspheres has a significant effect on the degradation of methylene blue under sunlight irradiation. The enhancement of photocatalytic activity of LFO microspheres composed of nanorods was attributed to their high specific surface area (15.06 m2g−1), low tensile strain and high charge separation efficiency as evidenced by PL spectrum. The surface roughness has increased from 23.96 to 61.36 nm after surface modification from nanoparticle to nanorod in the self-assembled microspheres, respectively. The great durability and stability of photocatalyst were sustained over three cycles, indicating this structure has a potential application in wastewater treatment.